Arduino and Atmel unveil the Arduino Zero, a simple and powerful 32-bit extension of the platform established by Arduino UNO. The board is powered by Atmel’s SAMD21 MCU, which features a 32-bit ARM Cortex® M0+ core and one of its most important feature is Atmel’s Embedded Debugger (EDBG), which provides a full debug interface without the need for additional hardware, significantly increasing the ease-of-use for software debugging. EDBG also supports a virtual COM port that can be used for device programming and traditional Arduino boot loader functionality. “Sometimes I needed an external serial monitor like the Serial Monitor in the Arduino Editor, to see what is going on. So I made one,” author said. ESM (External Serial Monitor) is based on Atmega 328. It has its own display and control buttons, so it can work fully autonomously. 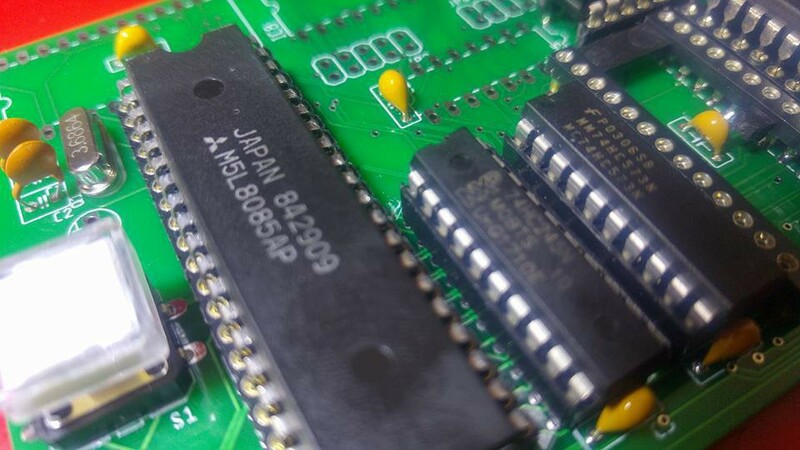 Based on ATmega169, this ALU can provide services like the old 74181 etc. You can do a lot of math operations with two 8bit numbers. It’s designed for ATmega, but source code is MIT licensed, therefore it should work on PICs etc. NXP’s LPC800 is the first microcontroller to combine the flexibility of an 8-bit MCU with the versatility of a 32-bit Cortex M0+ core. This is a bold move towards making 8-bit architectures obsolete! That is why we are offering you the opportunity to win an LPC800 mini-board so you can try it for yourself. We have a limited number of mini-boards using the DIP8-housed LPC810, so we are holding a raffle to give everyone a fair chance of winning one. Simply watch this short video and answer a couple of questions and enter to win. There are a lot of space for tiny PC – not bloated with all these HDDs, big graphic cards etc., just with small fast processor, FLASH memory, HDMI and a few USB. I bet you know Raspberry Pi. Here is another concept called Android PC – APC. Cubieboard – a new Raspberry Pi? Cubieboard is a small (10x6cm), hacker friendly, extendable and very low-cost while powerful ARM board with Allwinner A10 SoC. Not so hyped as Raspberry Pi, but a little bit more powerful. The Freescale Freedom development platform is a set of software and hardware tools for evaluation and development. The Freescale Freedom KL25Z hardware is a simple design featuring a Kinetis L series microcontroller built on the ARM Cortex-M0+ core.